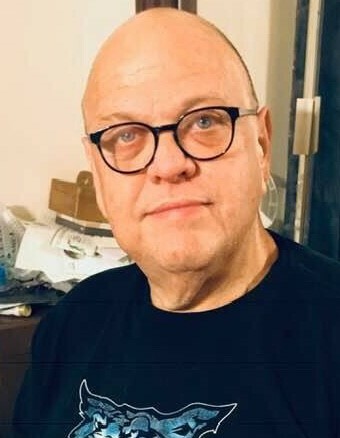 Mr. Kevin Cave Robertson of Campbellsville passed from this life on Tuesday, April 14, 2019 in Louisville at the Jewish Hospital. Born on August 19, 1957 to the late Clyde Davis and Frances Obie (Milburn) Robertson, he was 61 years, 7 months, and 28 days of age. Mr. Robertson had earned a bachelor's degree from Campbellsville University and was a human services case manager. His knack for remembering dates and places made him a natural history buff, and his energetic personality fit him well as an avid UK basketball fan with a passion for classic rock music. In lieu of flowers, please consider memorials in the form of donations to St. Jude's Research Hospital. Those can be made in person at the funeral home, or online through the "How Can I Help" tab on the front page of this site.